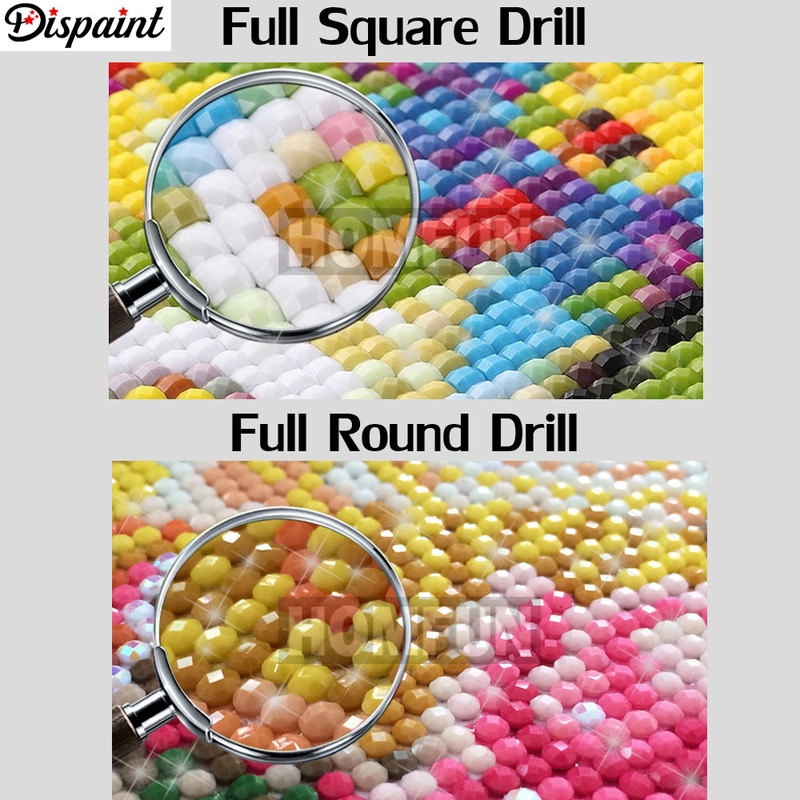 Full Square/Round Drill 5D DIY Diamond Painting All Can Be Customized 1、The painting canvas, the rhinestones and all tools will be packed into a box. 2、The color of box is different. It depends on the size of the painting. 3、The box is strong enough to protect the product, but the box may get little damage during transport. The tools include dotting pen, tweezers, dotting cemeent, small bags, plate. 1. Refer to the comparison table on the canvas to identify each diamond number and the corresponding printed number on the canvas. We will resend you any diamonds that you may lose. The Time Table of our Work time. 1.We ship by AliExpress Standard Shipping, AliExpress Premium Shipping, China Post Registered Air Mail, SPSR, Pony Express and DHL. 3.If you don’t receive your parcel after 30 days, we can refund if you want. Is the rhinestones round or square? 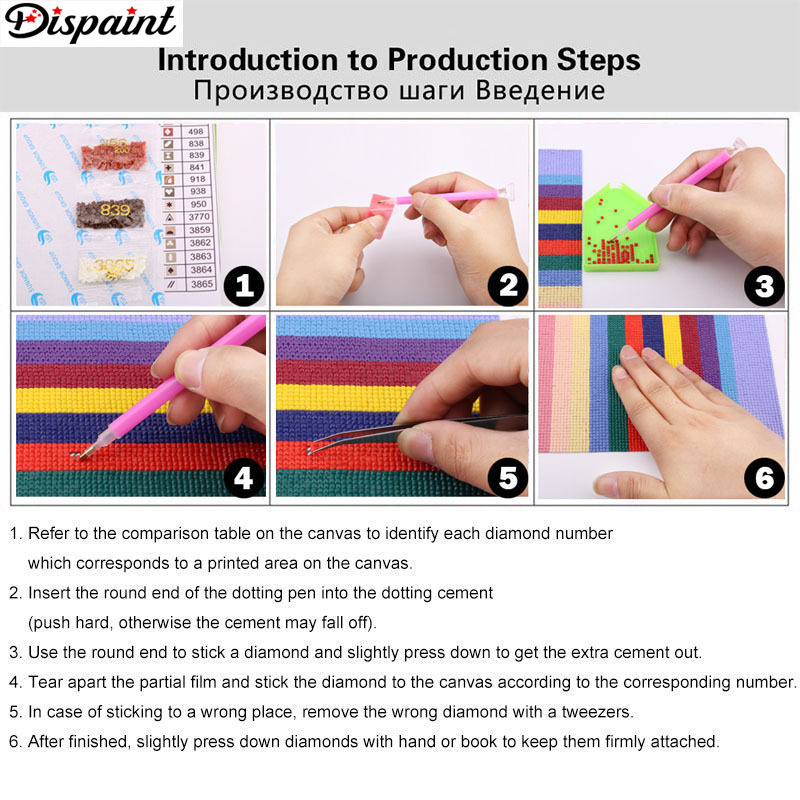 Is the diamond painting full or partial? The rhinestones is enough. We put 30% extra diamonds in every bags of diamonds. And we provide Diamond Supplement Service. Do I need to pay for tariff? It depends on the tariff policy of your country. We usually fill in a lower declared price to help you avoid the tariff. If you have some special requirement, you can leave a message in the order or tell us directly. What is the size of the painting? 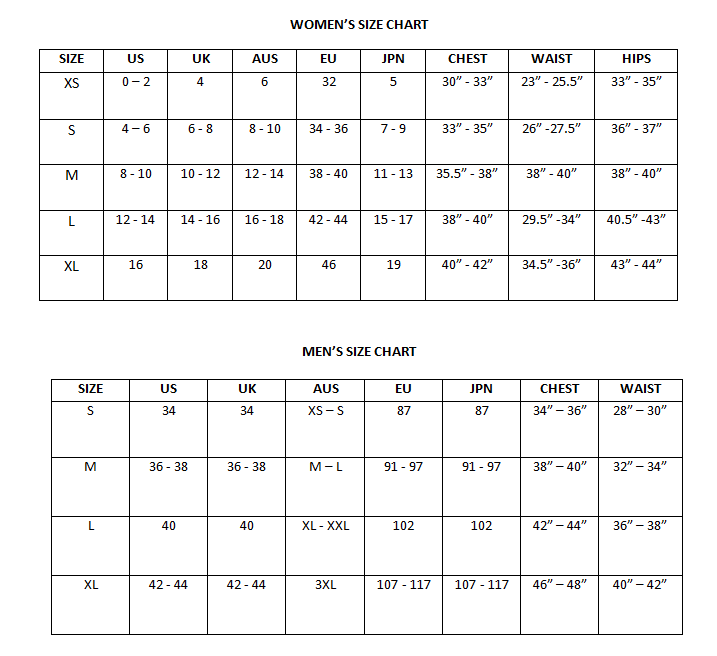 All size in our store usually means Picture Size. Note	Our diamond painting are semi-finished, do not include frame. We will provide the diamond embroidery tools for your make. Although our products is not the cheapest, but the quality of our goods is the best! When you finish it, you can take pictures of your paintings and send it to us, we will share ti with other buyers all over the world. Feedback	Your satisfaction and positive feedback is very important to us.Please leave positive feedback and 5 STARS. If you are satisfied with our items and services.PLEASE DO NOT leave us 1,2,3,4 stars, because they are equal to negative feedback. If you have any problems with our items or services, please feel free to contact us first before you leave negative feedback. We will do our best to solve any problems and provide you with the best customer services.